colorless prismatic or needle-shaped crystal. It is packed with plastic bag as inner layer, and a compound plastic woven bag as the outer layer. Appearance and properties: Orthorhombic, four angle granular or diamond crystal, colourless, transparent, Aggregate is white, rose or green glass luster. In the form of fibrous, acicular, granular or powder. No smell, bitter taste. Solubility: soluble in water, slightly soluble in ethanol and glycerol. Stability: stable at 48.1 degrees Celsius in humid air, easy weathering in warm and dry air, is higher than 48.1 DEG C, losing 1 to become the six Magnesium Sulfate crystal water, water, at 67.5 DEG C, soluble in the water of crystallization, and the precipitation water Magnesium Sulfate, at 70 to 80 DEG C, lost 4 crystal the water lost 5 crystal water of 100 DEG C, losing 6 crystal water at 150 DEG C, lost all crystal water at 200 DEG C, become anhydrous powder Magnesium Sulfate, dehydrated material placed in moist air to re absorb water. 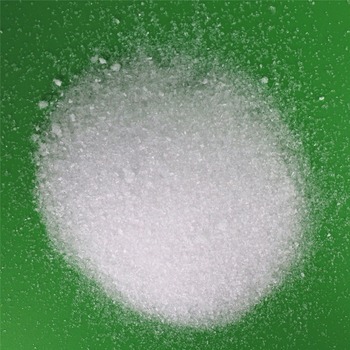 Magnesium Sulfate in the saturated solution, can crystallize respectively with 1, 2, 3, 4, 5, 6, 12 water hydrate crystals, in -3.9 to 1.8 DEG C saturated aqueous solution, precipitation of twelve water in Magnesium Sulfate, -1.8 to 48.18 DEG C saturated water solution, precipitation water in 48.1 ~ seven Magnesium Sulfate. 67.5 DEG C saturated aqueous solution, precipitation of six water is higher than 67.5 degrees Magnesium Sulfate, a Magnesium Sulfate six precipitation water, water Magnesium Sulfate incongruent melting at 87 to 92 DEG C, and generate five or four water water Magnesium Sulfate, Magnesium Sulfate four water at 106 DEG C into Sanshui Sanshui Magnesium Sulfate, Magnesium Sulfate in the 122 to 124 DEG C two Magnesium Sulfate two Magnesium Sulfate water, water in a water Magnesium Sulfate 161 to 169 DEG C into stable. As a food additive. It can be used for dairy products, the use of 3~7g/kg; in the drink and milk drinks in the use of the amount of 1.4~2.8g/kg; in mineral drinks in the maximum usage of 0.05g/kg. With calcium salt for yeast water, according to 4.4g/100. 1 water addition can improve the hardness of 1 degrees, the use of bitter taste, and produce hydrogen sulfide odor. Used for tanning, explosives, papermaking, porcelain, fertilizer, and medical treatment on oral laxatives and other additives, mineral water. Magnesium sulphate is used in agriculture as a fertilizer bacause magnesium is one of the main components of chlorophyll. Usually used in potted plants or magnesium deficient crops, such astomatos, potatoes, roses, etc...Magnesium sulphate has higher solubility than other fertilizers. 4. Other applications: Magnesium sulphate is also used as bath salts, feed additives and choleretic drug. Nanjing Jiayi Sunway Chemical Co.,Ltd is located in the ancient capital of the Six Dynasties - Nanjing. The main business to produce and sell food additives,is based on Calcium phosphate, Sodium diacetate,acetate, sulfate,citrate,phosphate, sodium alginate, agar,which integrate research,development,productionandsalesas a whole. Our company invest builtfactories in many cities around China,produceoneselfadvantage,developingmarketingnetwork, focus on corporate image, Keep improvingto win market and customers alike. We haveaprofessionalinternational tradeteam. Establishment of a good cooperative relationship with the United States, Southeast Asia, Japan and Korea.We aim to“Service and sincere in exchange for your trust and support, mutual benefit and create win-win!" Net weight 25kg plastic woven bag, and 1000kg ton bags are most common packaging. Loose loading for maximum capacity and lower price. Loading with pallets skids also available. Besides, we also have different variety of packaging. Customization including marks, printing, packaging, extra packaging are available according to customer requests. Different loading options are provided in responds to different customers requests. Take loading 25kg pp bag Packaging as an example. 1. When can I Get Reply? 2. What documents you provide? 3. What certificate you can provide?